And have the most fun. up is happening while she is at her most sensitive. mouth…lets just say most women aren’t used to that. 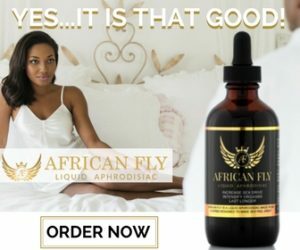 so it will be helpful to have African Fly in your system. starts with skin against skin. Sort of like a jockey riding a horse. difference and enjoy herself even more. it gets a little trickier. scared you are going to crack a rib. aerobics instructor… but it works! You will both be able to tell the difference. tips. Set up a practice session soon!